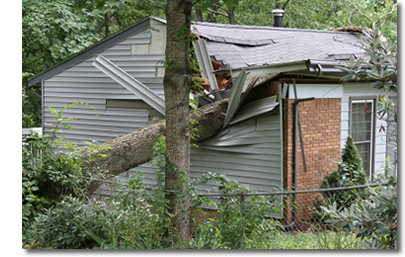 Storm damage can be disastrous for both residential and commercial properties. High winds, lightning, hail and excessive rain can all cause a variety of serious situations. Restoration Solutions can handle all storm damage repair services necessary to restore your home or business. We’re capable of tree and debris removal and complete cleanup of the affected location. Our 24 hour emergency response service guarantees timely arrival and efficient protection and repair for your building.